The last inter tribal Maori Wars, discovery of gold, an illicit whisky industry ... these are just some of the factors which have contributed to this region's colourful heritage. Tuturau, south of Mataura, is the site of the last inter tribal Maori wars which took place in 1836. The Southland tribes repelled the challenge and threat from the northern invaders thus the south was kept from passing into the hands of the northern tribes. European settlement afterwards was a peaceful process in contrast to the turmoil experienced in many parts of the North Island. The mid 1800's saw the beginning of the settlement of the pastoral run holders, most of who came from the home countries of England and Scotland. The Scots bought with them their family traditions and customs including a liking for a daily dram or two of Highland dew. With the advent of prohibition in the early 1900's and the depression years the demand for the now established Hokonui Moonshine grew. Stills sprang up through the area and the authorities began to take an interest in the goings on in the bush clad hills with them mounting some of their famous raids on the illicit stills. 1863 saw a rush of gold miners including hundreds of Chinese flock to Waikaia with the discovery of gold in the area. At its peak Switzers as it was known then was home to more than 2000 people trying to make their fortune. Gold was also discovered in Waikaka in 1867 with up to 800, mainly Chinese working there. After 1870 many of the miners had drifted away but by 1900, there were 30 gold dredges working the Waikaka river. But it is the land and farming that has and still does support the people of the region. The once drab, tussock covered swampy plains are now extremely fertile, lush farmland producing some of New Zealand's finest produce. 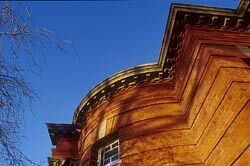 Our heritage has helped shape the attitudes and traits of the people of our area. It has developed us into tenacious yet independent spirited people. We are proud of our achievements and our region which is why you will receive a warm friendly welcome when you come to discover the delights of Gore & Districts - Maruawai - Valley of Water. The Eastern Southland Gallery is a public art facility, situated in the Arts and Heritage Precinct of Gore's CBD. 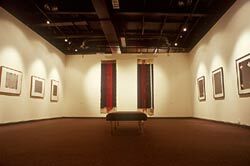 The original Eastern Southland Gallery began operating as a non-profit cultural facility in May 1984. Established in a former Carnegie Library building, the Gallery is a successful adaptive re-use of a significant historic Southland landmark. The Gallery is operated by the Eastern Southland Gallery Incorporated and staffed and supported by the Arts and Heritage Department of the Gore District Council. During its 20 year history it has maintained a vibrant and energetic annual programme of exhibitions, performances, workshops, lectures, master-classes, and artist-in-residence projects, utilizing key national and international artists, writers, musicians and performers. Another significant function of the Gallery has been the development and care of the district art collections. The Gallery holds over 250 works of art in three collections that focus on early New Zealand, Southland and West Otago, and contemporary New Zealand artists. In December 2003 the Eastern Southland Gallery officially opened its refurbished temporary exhibition spaces along with the new John Money Wing, to house the John Money and Ralph Hotere Collections. This was a four year project which began in 1999 with the gifting of a major collection of international art, to the Eastern Southland Gallery, by expatriate New Zealander, Dr John Money of Baltimore. The project is a partnership between the Arts and Heritage Department of Gore District Council, the Eastern Southland Gallery Inc, key benefactors and the community. The collection features a fine body of artworks from New Zealand, Australia, Africa, USA and South America, and represents a dedicated collecting career of over 50 years. Major works by New Zealand artists Rita Angus and Theo Schoon augment significant holdings of wooden sculpture from Mali, Nigeria, Guinea and the New Democratic Republic of Congo, plus indigenous Australian paintings and carvings from Arnhem Land. Other works feature ex Baltimore artists such as Lowell Nesbitt and Liz Whitney Quisgard. To house the collection the Gallery enlisted the services of the Signal Management Group. Plans were drawn up to refurbish the existing Gallery building and construct a significant new wing, in keeping with the existing building, on adjacent land purchased by Gore District Council for the project. The proposed plans included a permanent exhibition space for the John Money Collection, new and improved storage, research and work areas and new improved temporary exhibition spaces. Some exterior refurbishment of the old building was also included in the plans, along with new signage and landscaping. The Mataura Licensing Trust put up the initial finance for the planning and development of the project and then came up with capital finance and sponsorship. With the necessary plans and costings in place the Gallery then embarked on securing the $1.2 million necessary to undertake the project. By mid 2001 $1,095,000 was in place towards the project, with major funding from the New Zealand Lottery Grants Board, the Community Trust of Southland and the Mataura Licensing Trust. Building began in early 2002 with the exterior, internal walls, lighting, climate control and state-of-the-art security and fire detection systems, and landscaping completed in late 2002. In June 2001 a Public Appeal was launched by the Prime Minister and Minister for Arts and Heritage, the Rt Hon Helen Clark to raise the final money needed to complete in the internal displays and storage areas. At this function a further gift was announced, that of a collection of works by major contemporary New Zealand artist Ralph Hotere. The Hotere gift is the result of the artist's close association with the Gallery and involves 36 works spanning 30 years of his career. A permanent gallery space has been developed within the new John Money Wing to display this significant collection, plus additional supplementary material from Hotere collaborators Hone Tuwhare, Bill Manhire, Cilla McQueen, Patric Carey and Mary McFarlane. In late 2002, the nearly 300 works of art in the John Money Collection were relocated from Baltimore to Gore, under the direction of specialist art mover and packer Cyril Wright. In December 2002 four additional paintings by Ralph Hotere, from the Ministry of Foreign Affairs and Trade Collection, were gifted to the Gallery to augment the original Hotere gift. Since then a further 11 works on paper have been gifted to the collection by a private donor. On the strength of the John Money and Hotere gifts, Muka Studio in Auckland have indicated their intention to gift their plant, equipment and archives towards the establishment of a visiting artist studio in Gore. Artist exchanges with East Coast USA and Australia has been instigated with the assistance of project partners and supporters (including the State Government of New South Wales Ministry for the Arts). The Gallery also features two temporary exhibition spaces which feature an ongoing programme of temporary exhibitions by national and international artists, touring exhibitions and specially commissioned presentations. The Gallery also runs artist-in-residence programmes and a calendar of concerts and performances involving national and international musicians. The Hokonui Fashion Design Awards are firmly established as a key event on the national fashion calendar and continue to attract entries and interest from throughout New Zealand. Since 1988 the Hokonui Fashion Design Awards have been a competitive platform for all amateur designers, and have provided a valuable opportunity for both experienced and emerging participants to display their design before a panel of high profile judges, and latterly an audience of over 700 people. From 2001 the Awards witnessed amazing growth, with the number of garments reaching the finals and appearing on stage exceeding organisers' expectations, and sponsored prize money increasing annually. The awards have continued to attract judges of the caliber of Karen Walker, Nic Blanchet, Francis Hooper (of 'World'), Trelise Cooper and Kate Sylvester - and all have proved enthusiastic participants. Increased support from key sponsors, combined with the event's relocation to the Gore Town & Country Club Stadium, have collectively contributed to an improved Awards format and an opportunity to feature supplementary showcases from some of the country's top designers. The Hokonui Fashion Design Awards are held annually, usually during July, in the Gore Town & Country Club Stadium, Bury Street, Gore. Entries are welcome from all amateur designers, with entries from High School and Polytechnic students being particularly encouraged. The Awards maintain at least 8 principal garment sections and offer an average of 20 awards for participating designers. Award of Excellence & Young Designer Award also receive a ticket to the L'Oreal Fashion Week - Auckland. A panel of significant personalities from the fashion industry assess and then judge garments based on criteria enclosed in the 'Conditions of Entry' which can be found on the Award's official website. Chosen finalists have their garments included in a fully choreographed Awards presentation held before a capacity stadium audience. In the folds of the hills of Eastern and Northern Southland a river flows ... by pastures and willows, rocky ledges and rural towns. Its trout lie in riffles and runs - in deep pools they peck at mayflies - small specks of life hatched from the water. The river brings them forth in the day and at the dusk. A million mayflies attracting hundreds of anglers. The river is called the Mataura. 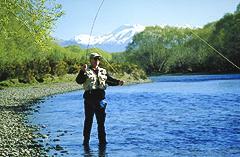 The Mataura River has a world wide reputation as being one of the best brown trout fishing rivers in the world. The 'mad Mataura rise' is legendary as are the numbers of fish which live in the river. Although it is the Mataura which grabs the international limelight, there are numerous rivers and streams in the region which provide equally superb fishing opportunities. With water so pure it is often described as 'gin clear', easy public access and plentiful fish this part of Southland is an anglers paradise. But be warned!! Anglers should not be deceived by stories that trout in this area are easy to catch. Easy trout are caught from the back of boats in lakes. Anglers fishing in these parts will find catching brown trout a challenge but those who take time to hone their skills and learn about the ways of the fish who live here will be well rewarded. Southland's climate soils and light combine to create a richness and brilliance in the colours of many plants which thrive in our conditions. Peony roses, rhododendrons, roses, magnolias and bulbs all relish the Southland conditions and produce quality top class displays not found in other areas of New Zealand. The public and private gardens of this area are no exception and there are many outstanding examples of each. De Boer Roses on State Highway 1 at Edendale have a brilliant display of roses in bloom over summer. Maple Glen near Wyndham is known around the world for its stunning 6 hectare rural garden. It's garden is outstanding all year round - from the blossom trees, rhododendrons, azaleas and bulbs of spring to the roses of summer and the hues of the trees in autumn and winter. Hills and Plains Garden Train in the Wyndham and Edendale area offer tours of farm gardens as does Waimea Wanderings around the Balfour and Riversdale area. Gore's Public Gardens attract visitors who make a special visit just to view them. The Gore Gardens in the heart of town is home to a number of rare and unusual specimens as well as providing a riot of colour from the rhododendrons in spring through to the roses in summer and the maples in autumn. The winter garden is open all year round and there is also an aviary. Bannerman Park in the northern part of the town is another outstanding public garden. Featuring a deer park it is set in a picturesque valley intersected by streams and ponds bordered with bog plants. It also has extensive plantings of rhododendrons, conifers, cherry blossoms and magnolias. Just 10 minutes drive from Gore is the 95 hectare Dolamore Park which combines: a native podocarp forest, walkways and expansive lawn areas, complete with a children's playground and gas BBQ's. Camping is also available. Production from the rich fertile farmland has been the mainstay of this area's economy since it was settled. Although the area is still predominantly sheep farming, over the past few years diversification has been taking place. Today's farming practices include, cattle for dairy and beef, grains for stock food and human consumption, deer for venison and velvet, ostrich and emu farming as well as horticulture. Many visitors wish to experience life on a farm as part of their holiday and with the numerous and varied Farm and Country stays available visitors are spoilt for choice. Opportunities exist for visitors to take part in the activities of the farm. Betts Farm - Meet the Sheep Show - 20 minutes north of Gore on the Gore - Queenstown Highway allows visitors to meet and feed their extremely friendly sheep. A lecture on the history of sheep farming in the region, as well as a mini museum of farm memorabilia make this an interesting place to spend some time. A "shearers smoko" is available by arrangement. The Riversdale Tractor Museum houses Southland and Otago's largest collection of vintage tractors, whilst Hokonui Pioneer Park also has a great collection of farming machinery and memorabilia. Like the other museums of the area these are interesting places to visit and understand the importance of farming to the region and how it has developed and progressed over the years. Brown Trout and country music are just two of the attractions which have given Gore a world wide reputation. From October through to April, Gore takes on an international feel as anglers from all over the globe come to pit their skills against the wily brown trout in the Mataura River and its tributaries. The first weekend of June sees the culmination of a 10 day long Country Music Festival featuring the New Zealand Gold Guitar awards. Gore is equally famous for the legend of Hokonui Moonshine. The distilling of these fiery spirits in the misty Hokonui Hills which dominate the Gore skyline, was illicit, but there remains to this day an aura of romance and mystique about this industry. The Hokonui Moonshine Museum reflects the social history of the time of this illicit industry and gives fascinating insight to the moonshine era and complements the Gore Historical Museum with both sited in the Hokonui Heritage Centre. Specialising in restoring and repairing vintage planes, especially de Havillands is The Croydon Aircraft Company at the old Mandeville airfield, just 10 minutes drive from Gore. Whilst there you can also experience the thrill of open cockpit flying in a Tiger Moth or one of the other vintage aircraft available for hire. Preserving our heritage is to the fore with attractions such as the Gore Airforce Museum and Hokonui Pioneer Park capturing what life would have been like in earlier years. With over 400 species of animals and birds, many of them rare to these parts The Reservation is a fun and interesting place to visit. The Eastern Southland Gallery is the nucleus for a strong and thriving art community as well as having a permanent art collection displayed. 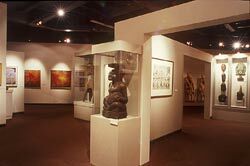 Frequent exhibitions by national and internationally recognised artists are also arranged. 10 minutes south of Gore, on Highway 1 is the industrial town of Mataura and just south of that on the Mataura - Wyndham highway is the Tuturau reserve. This area is significant in Maori history as it is the site of the last clash between north and south tribes in 1836. Gore is the main commercial centre for a large rural area comprising all types of farming and offers excellent shopping, dining, accommodation and recreational facilities. Sited at the junction of State Highways 1 and 94 Gore occupies a strategic position in the southern tourist route. Road radiate west to Fiordland and Queenstown, south to Invercargill, north to Dunedin and east to The Catlins. Nestled between the Garvie and Umbrella Mountains the Waikaia Valley stretches from Piano Flat in the north to Freshford in the south. The Waikaia River wedges itself between the green pastures of this valley which is home to many High Country Stations and farms. Waikaia or Whakaea was formally known as Switzers. The Maori name of the river means rippling water which is very appropriate. Waikaia owes much of its history to gold which was discovered here in 1862. At the peak of the rush Switzers had a population of around 2,000 including a large number of Chinese miners. Today gold mining is confined to recreational panning in Winding Creek. This is a popular family holiday spot with its population increasing dramatically in the summer as visitors take advantage of the Central Otago like climate along with the wide range of outdoor activities on offer. Travelling by Snow Cats, winter gives visitors the opportunity to follow the snow pole trail used by goldminers of the last century, as well as enjoying some downhill or cross country skiing. At Switzers Museum, Waikaia's heritage is proudly displayed. Adjoining the Museum is the focal point of the town - a bottle house constructed of 20,000 wine bottles. Outdoor activities abound and include superb fishing in the Waikaia River and nearby streams, horse riding in the hills, bush walks and mountain biking at picturesque Piano Flat and excellent permit shooting in the forests. Accommodation is available with B & B's, a camping ground, motel and backpackers in the area. Waikaia is the perfect place to getaway, relax and explore. Its abundance of outdoor activities, the valley's history and the hospitable people make this area an intriguing, warm and welcoming place to visit. Balfour and Riversdale are situated on the Gore - Lumsden Highway, with fishing rivers within an hour's drive, including the world-renowned Mataura River. The Waimea Plains provide fertile farmland with land use varying from sheep for meat and wool, deer for velvet and venison, cattle for beef and dairy, grains for stock food and human consumption. These grains include wheat, barley, oats, peas and rapeseed. The Balfour and Riversdale area is the home of many fine gardens and great southern hospitality which can be experienced through the various Farmstays and Bed and Breakfasts. Waimea Wanderings Garden Tours offers a selection of gardens for groups to visit and enjoy. There is the opportunity to visit the Balfour Limeworks and take a native bush walk in the Glenure Reserve. The Glenure, Ram Hills and Old Balfour Roads provide great opportunities for photo stops while the Riversdale Vintage Farm Machinery Museum offers a glimpse of the area's past. Balfour and Riversdale are a convenient starting point for walkers, fishermen and hunters heading up the Mataura River through Cattle Flat. Edendale township is situated on land which was operated in the 1860's as a sheep station for the New Zealand and Australian Land Company. This land ownership group was formed by the amalgamation of various unincorporated societies in Scotland which also held land in Otago and Southland. In 1881 Thomas Brydone, Superintendent of the New Zealand and Australian Land Company, suggested that the company's Southland holdings, which were proving hard to sell, might be converted to dairying. In 1882, on the company's estate at Edendale, he built New Zealand's first diary factory, purchasing three hundred cattle to start the venture. After the initial exports of the factory's cheese, production was extended to include butter. The butter was processed under the direction of an expert butter-maker from Denmark. Between 1881 and 1932 eighty dairy factories were set up through the south to process milk supplied by farmers living nearby. Today there only remains one and that is sited at Edendale. Close by Wyndham - the Maori name for Wyndham was Mokorei which means "clear or sweet water". Wyndham was actually named after General Windham, (spelt differently to today's spelling) who was a hero of the unsuccessful assault on Redan in the Crimean War. Many streets in Wyndham have a Crimean association. Industries in the area include dairy and sheep farming, forestry, and activities include a variety of recreational sports. Wyndham is renown both nationally and internationally, for its clay-shooting activities. Both the Edendale and Wyndham areas are home to many fine gardens, including De Boers Roses in Edendale and near Wyndham in the internationally renown Maple Glen gardens and "Le Potager", a delightful garden and restaurant.